Indoor – Outdoor, portable all weather post mounted flower baskets add ambiance to hotel lobbies, restaurants, churches or your porch or deck at home. The posts are American Made commercial grade and designed to sit on flat surfaces inside or outside. 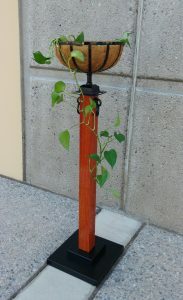 Choose between real wood or aluminum posts powder coated to look like wood or black marble. REAL WOOD: Choose either a light pine or brown ash. These wood choices are high quality thermally modified wood designed to last 20 + years outdoors without stain or sealer. You can stain, seal or paint the wood to change or darken the color if you wish. ALUMINUM: A (10) POST MINIMUM ORDERS APPLIES TO ALL ALUMINUM POST ORDERS. ADDITIONAL FEES APPLY. 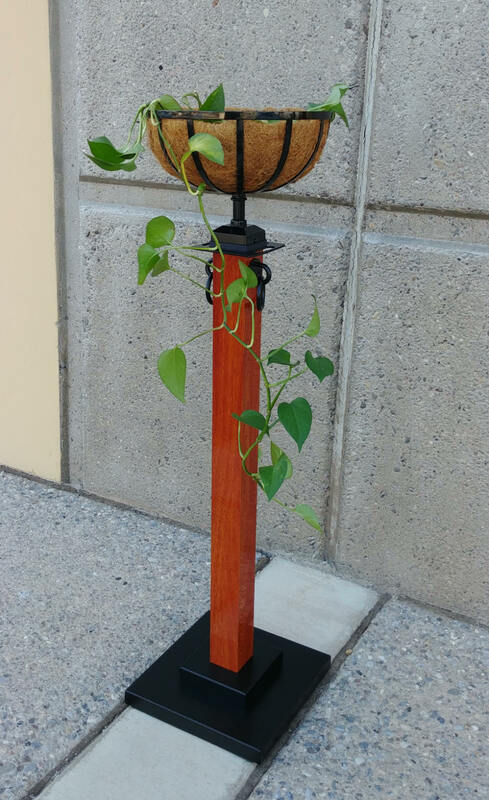 We can powder coated the posts and base any of our RAL powder coat colors or you can also choose a Decoral finish such as black marble. Lead Time is normally 2 Weeks + transit time from Las Vegas. Powder coated aluminum post orders may take an extra week or two. Located Near Sunset and Valley View, just over the freeway from Las Vegas Blvd and Town Center. We have plastic stanchions, affordable high quality and high-end stanchions. We also have traffic cones, valet equipment, LED decor and more.